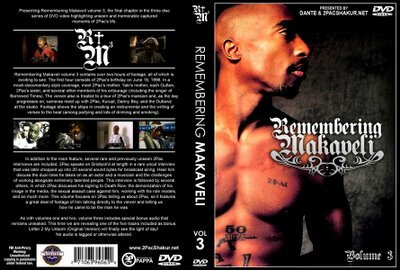 Remembering Makaveli volume 3, the final chapter in the three disc series of DVD video highlighting unseen and memorable captured moments of 2Pac's life. 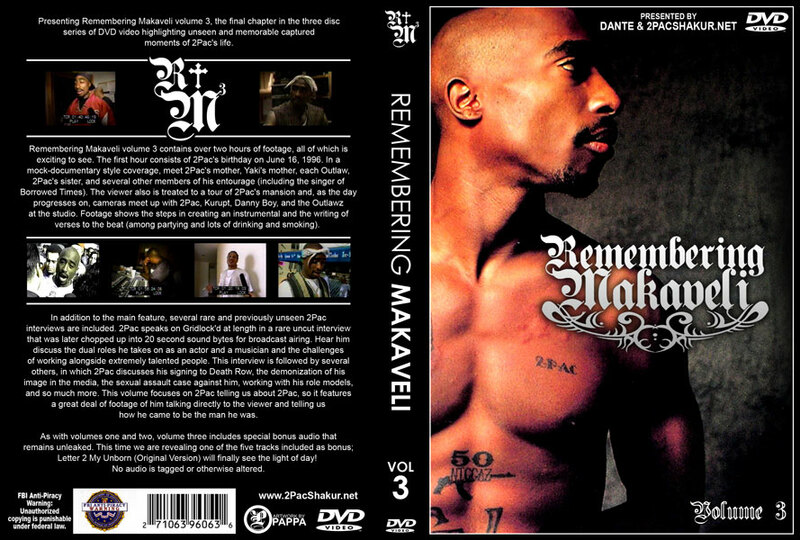 Remembering Makaveli volume 3 contains over two hours of footage, all of which is exciting to see. 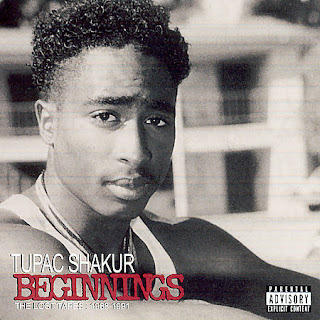 The first hour consists of 2Pac's birthday on June 16, 1996. 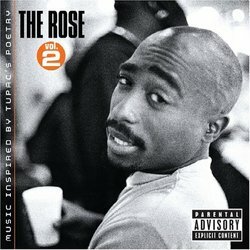 In a mock-documentary style coverage, meet 2Pac's mother, Yaki's mother, each Outlaw, 2Pac's sister, and several other members of his entourage (including the singer of Borrowed Times). 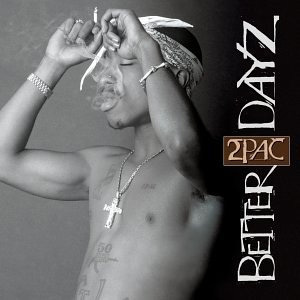 The viewer also is treated to a tour of 2Pac's mansion and, as the day progresses on, cameras meet up with 2Pac, Kurupt, Danny Boy, and the Outlawz at the studio. Footage shows the steps in creating an instrumental and the writing of verses to the beat (among partying and lots of drinking and smoking). 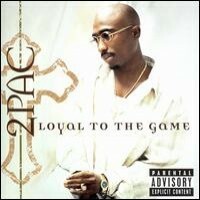 In addition to the main feature, several rare and previously unseen 2Pac interviews are included. 2Pac speaks on Gridlock'd at length in a rare uncut interview that was later chopped up into 20 second sound bytes for broadcast airing. Hear him discuss the dual roles he takes on as an actor and a musician and the challenges of working alongside extremely talented people. 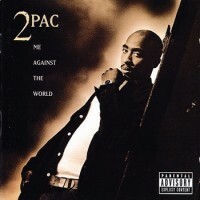 This interview is followed by several others, in which 2Pac discusses his signing to Death Row, the demonization of his image in the media, the sexual assault case against him, working with his role models, and so much more. 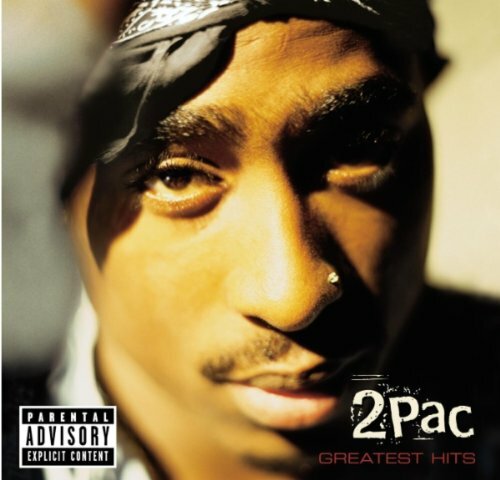 This volume focuses on 2Pac telling us about 2Pac, so it features a great deal of footage of him talking directly to the viewer and telling us how he came to be the man he was. As with volumes one and two, volume three includes special bonus audio that remains unleaked. This time we are revealing one of the four tracks included as bonus... Letter 2 My Unborn (Original Version) will finally see the light of day! No audio is tagged or otherwise altered. 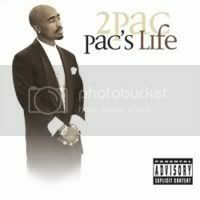 Bonus audio is intended to keep the excitement of the project up - but remember that the video is a rare and unseen glimpse into Pac's life. Note: Audio bonus will only be included if we receive enough interest in this package. 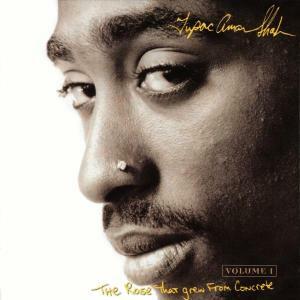 Also newly available - The 2Pac Video Collection. This video discography spanning three dvd discs features tag free, full videos with intro screens denoting the director and other relevant credit information. Each video (minus one) is from a digital source, so they will be the best quality video quality possible. Exclusive to this set is Made Niggaz 360 Camera Version in dvd quality! This video is an amazing one-take of 2Pac and the Outlawz rapping to a spinning camera in the center of a room, and the scene does not break away into any other angles or scenes. 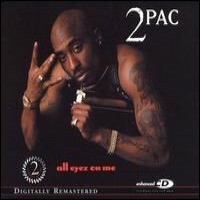 Now is your chance to own every 2Pac video made, all in order of release, and all in digital quality with an exclusive bonus at the end! 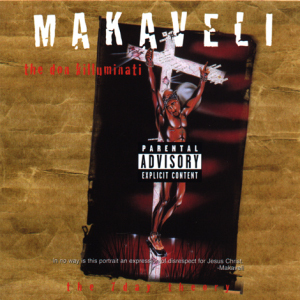 Remembering Makaveli Volume 3 cover coming soon. 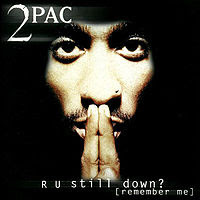 Reference 2pac music video collection cover above for music video listings. Well your article helped me very much in my college assignment. Hats incorrect to you send, wish look forward for the duration of more interrelated articles in a jiffy as its united of my pet topic to read.